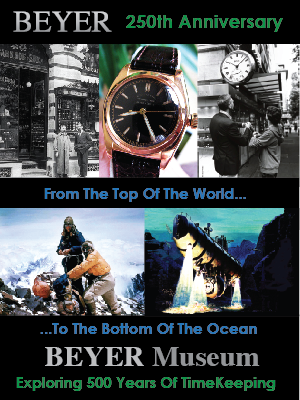 Harry Borer, former Chairman of the Board of Directors of Manufacture des Montres Rolex S.A., was born on November 26, 1927 and passed away on June 16, 2017 at age 89. 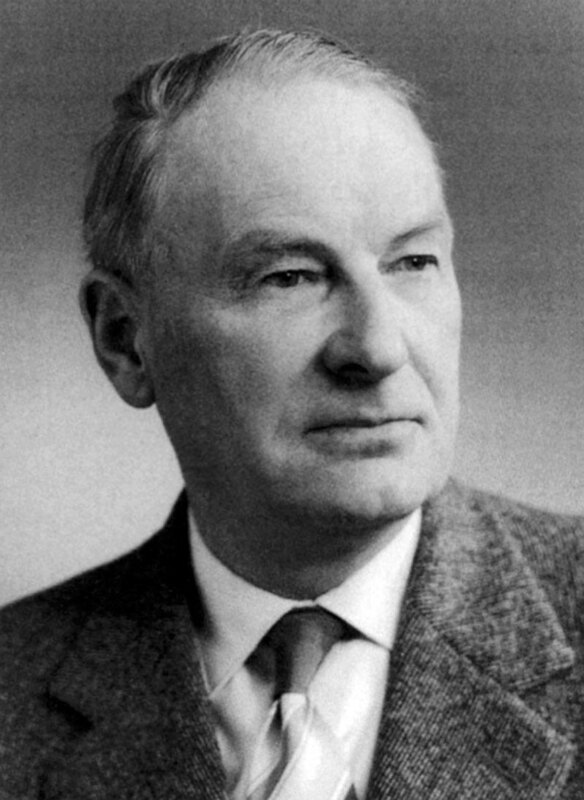 Harry Borer was the son of Emile Borer, who was responsible for developing Rolex's super innovative 'Perpetual' Movement, which was the worlds first commercially viable automatic movement. 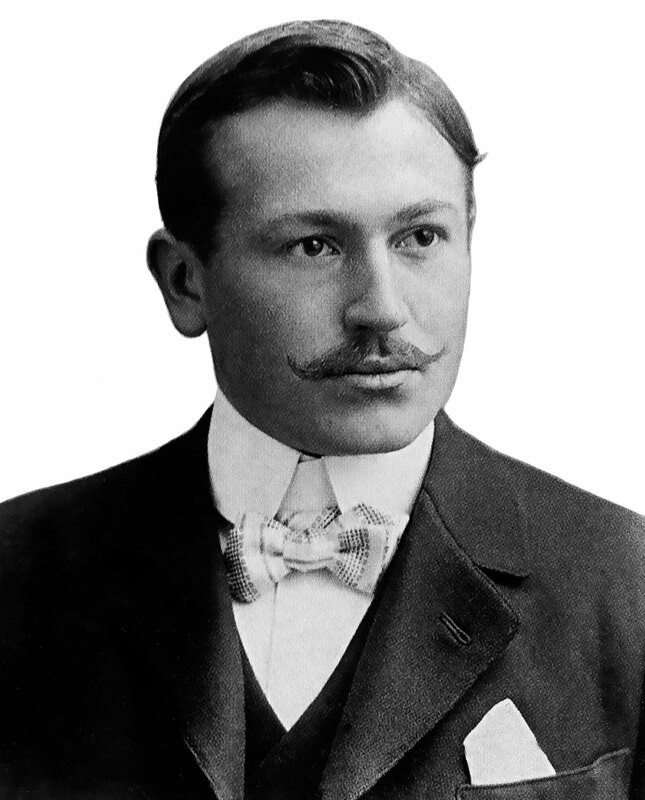 Harry Borer was also the grandson of Jean Aegler, who founded Aegler S.A., which began making watch movements for Rolex in 1905. 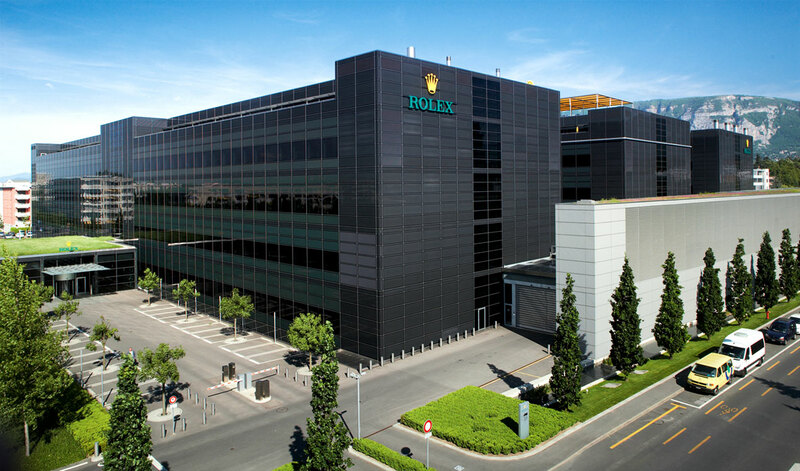 In 1913, with the success and rapid expansion of Rolex, Aegler S.A., became a subsidiary of Rolex S.A., and was renamed, Manufacture des Montres Rolex S.A., and in recent decades was commonly referred to as "Rolex Biel". 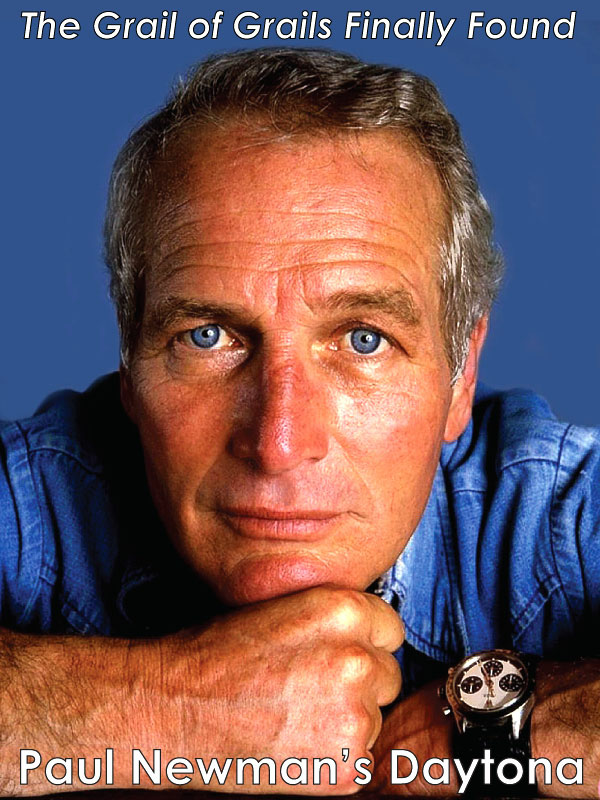 In 2004, Manufacture des Montres Rolex S.A., was acquired by Rolex in 2004 for an undisclosed amount of money, which has been estimated to be in the amount of several Billion dollars. 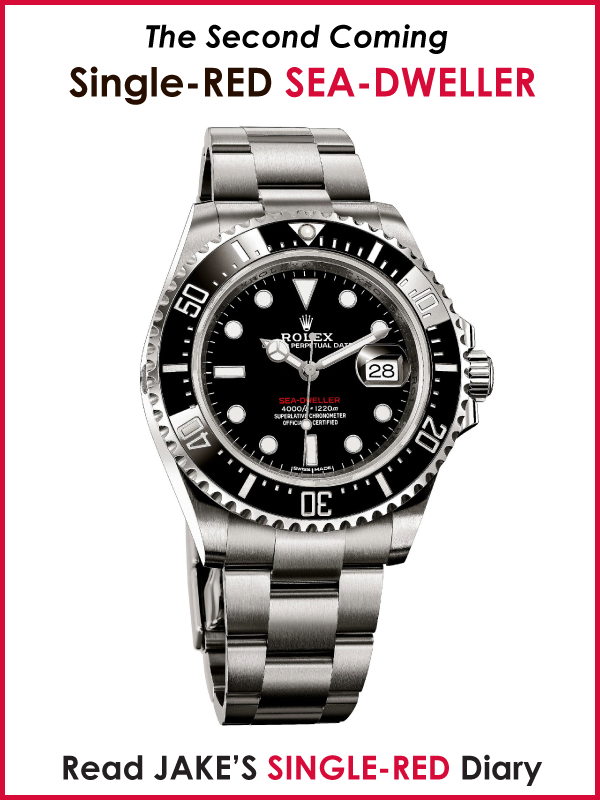 "Rolex is the biggest competition for Rolex." 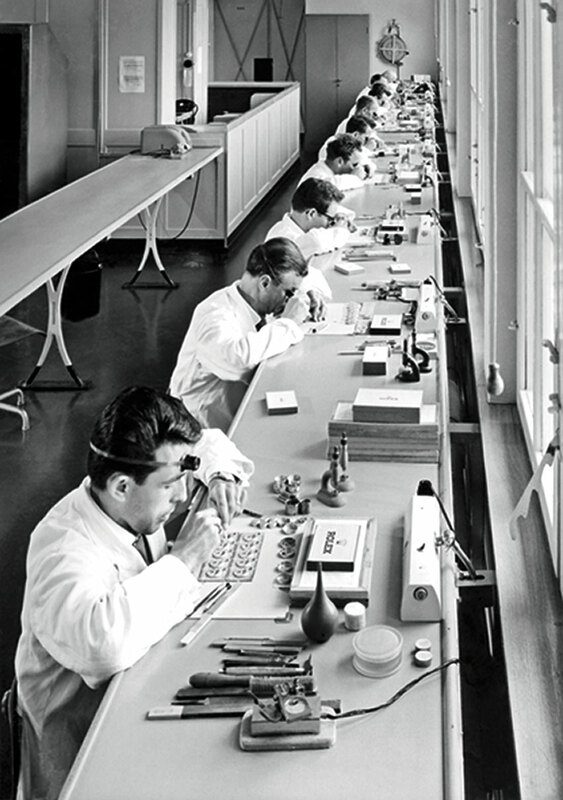 Harry Borer went to work for Manufacture des Montres Rolex S.A. in 1961, just after Rolex Founder, Hans Wilsdorf passed away. 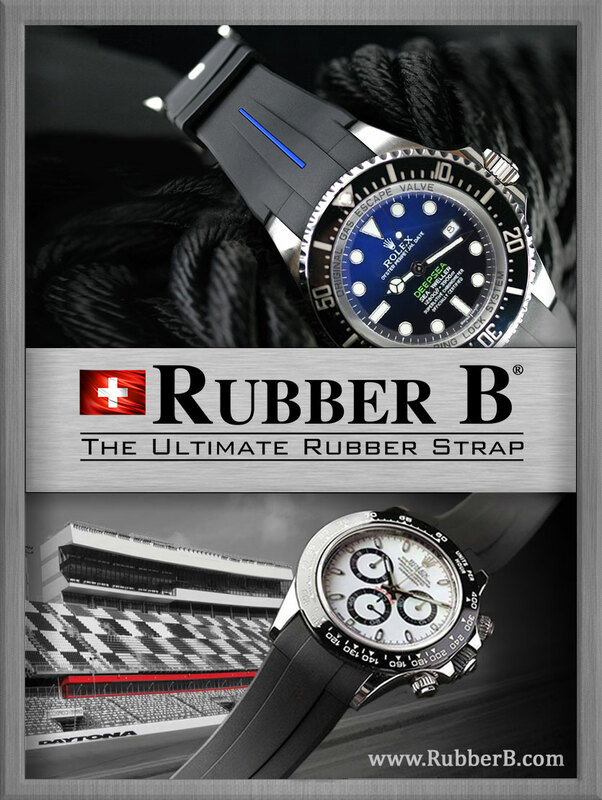 Harry Borer said, in 2017: "Rolex is the biggest competition for Rolex." 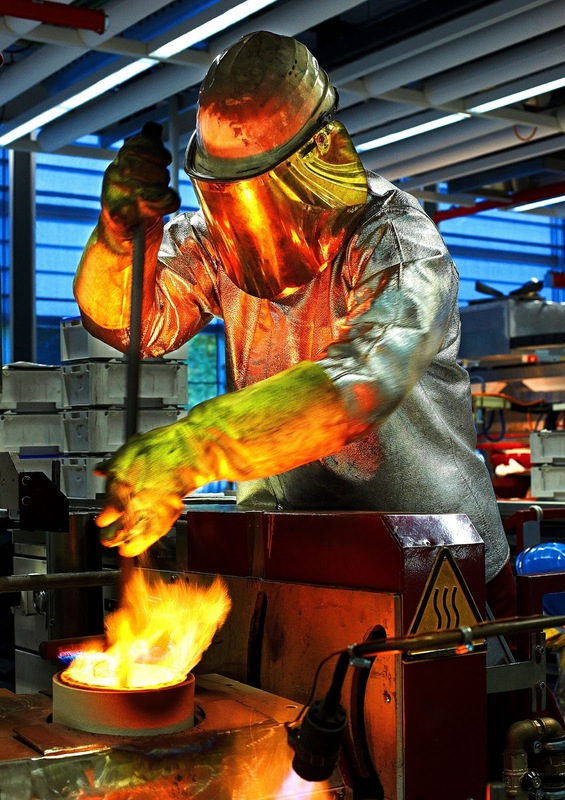 Harry Borer took over the Manufacture des Montres Rolex S.A. helm in 1967, after his father Emile Borer passed away, and helped it grow from 180 employees in 1967, to 2500 employees in 2001. 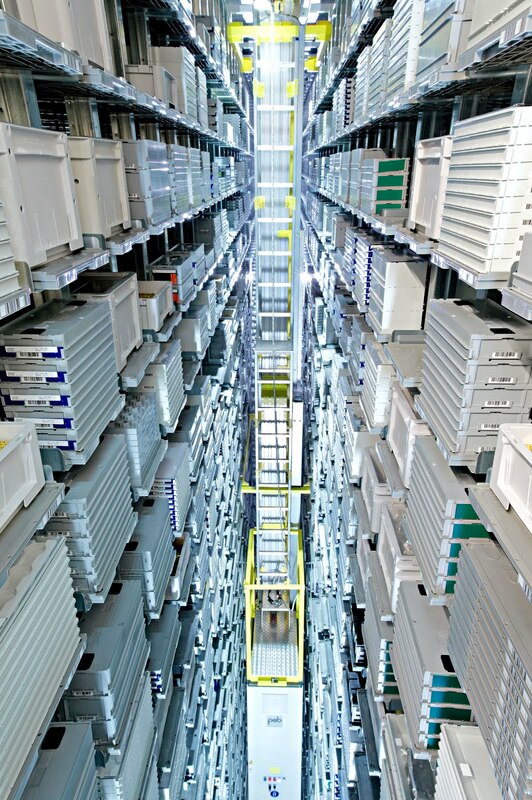 In 2001, when Harry Borer retired, he passed the baton to his son, Daniel Borer who took over as the Chairman of the Board of Manufacture des Montres Rolex S.A., and his daughter Franziska took over as Operations Director.You can read more about Harry Boer in an obituary published on Swissinfo.ch. 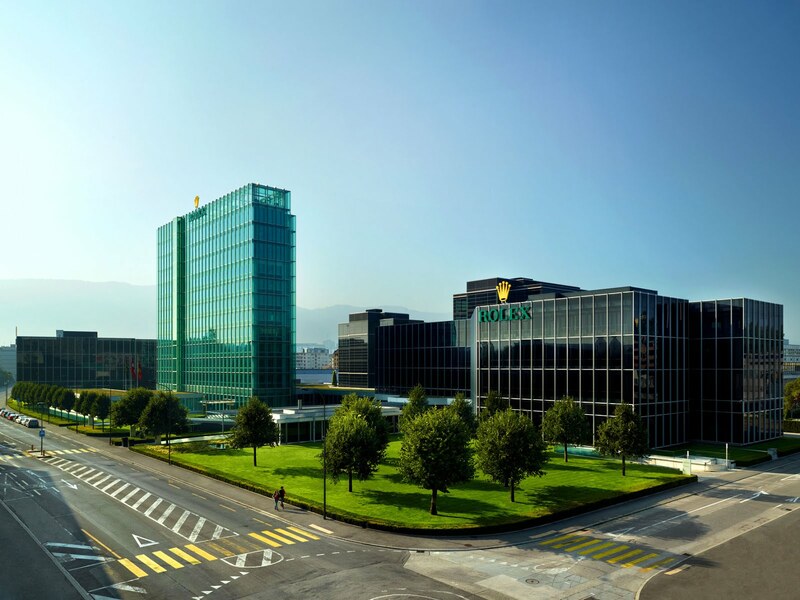 Hans Wilsdorf, the founder of Rolex decided to move Rolex World Headquarters from London, England to Geneva, Switzerland in 1919. 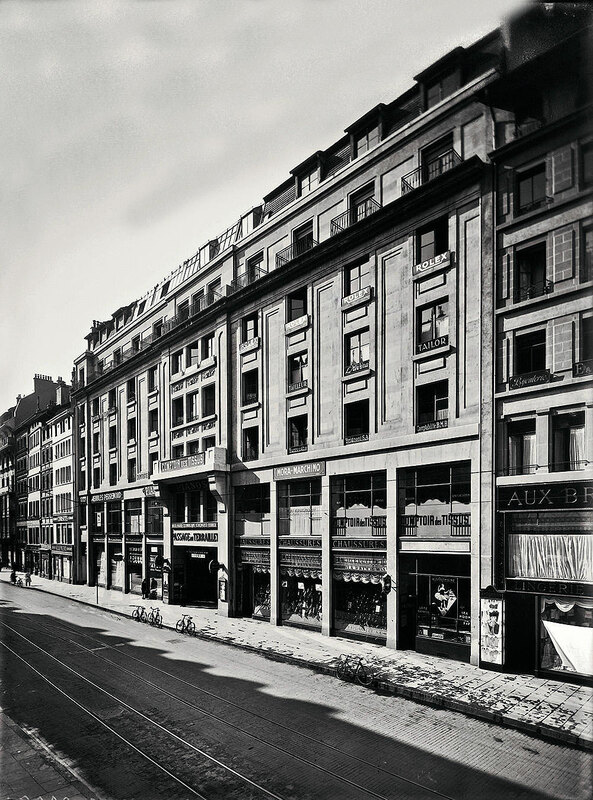 Rolex moved to 18 due du Marché, which was located below the Cathédrale Saint-Pierre in Old Geneva. 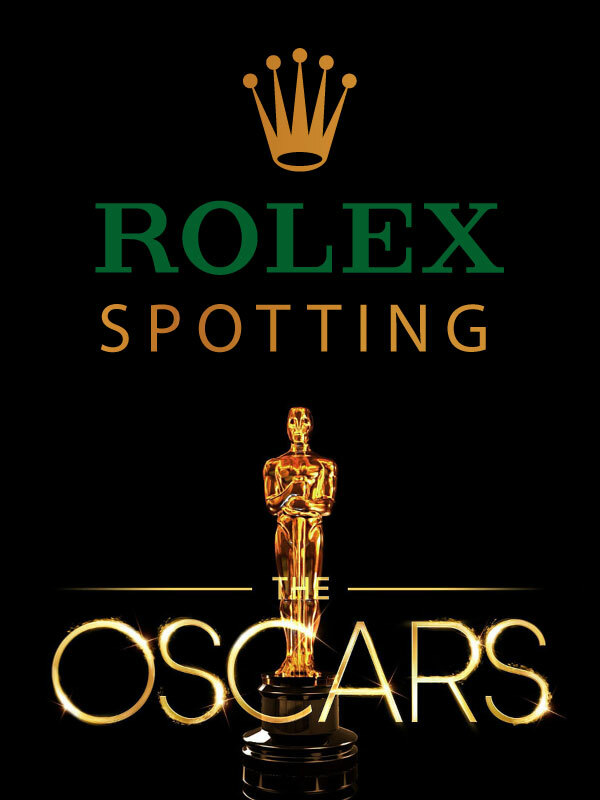 Rolex remained at this location for forty years. 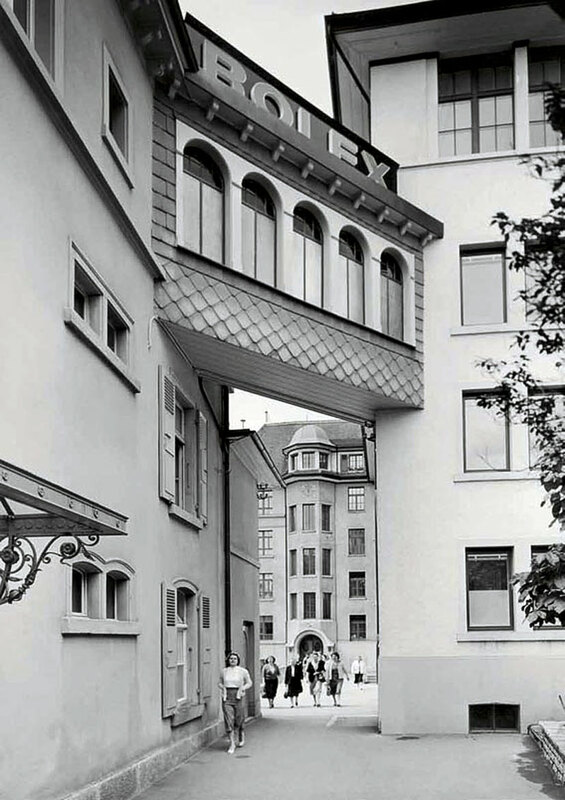 The photo above shows Rolex's Geneva Worldwide headquarters in Geneva, Switzerland in 1928. If you look closely you can see the ROLEX signs on the upper floor of the building, and also notice the unlocked bicycles standing-up next to the sidewalk. It's hard to imagine a world where people would just leave their unlocked bicycles parked next to the sidewalk, but this was the world of Geneva in the late 1920s. 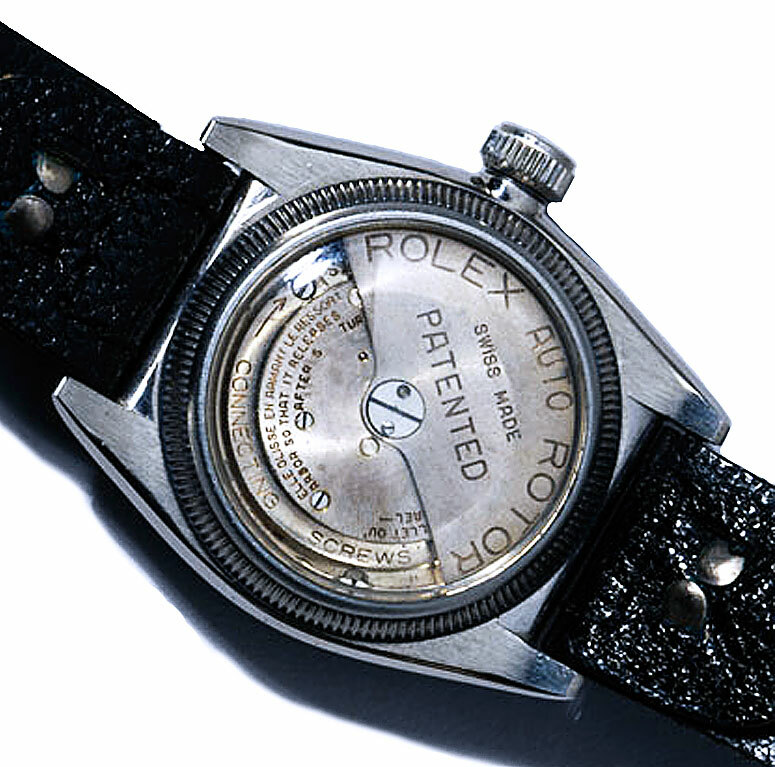 These were clearly humble beginnings, and it is worth noting that today, Rolex is considered to be one of the most successful brands in the world, but it was not alway that way. 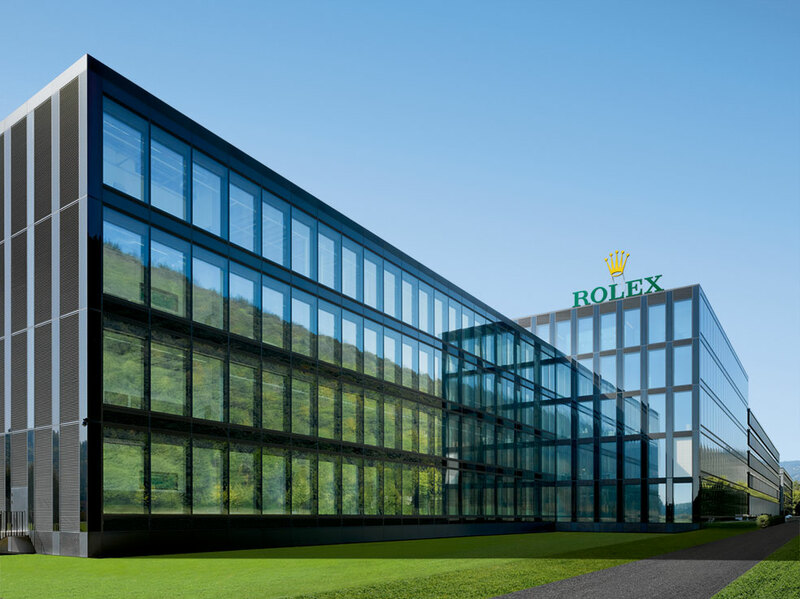 As a matter of fact, in 1928, in Geneva, Hans Wilsdorf and Rolex were considered to be a Genevan outsider, which caused Rolex to work that much harder to establish itself as a true Genevan brand. 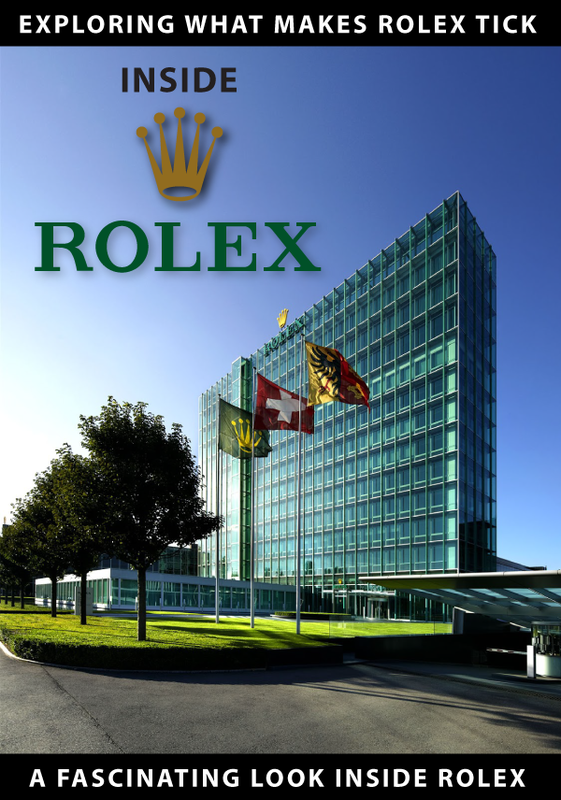 Rolex worldwide headquarters today is located in Geneva, Switzerland and is the epicenter of all things Rolex. 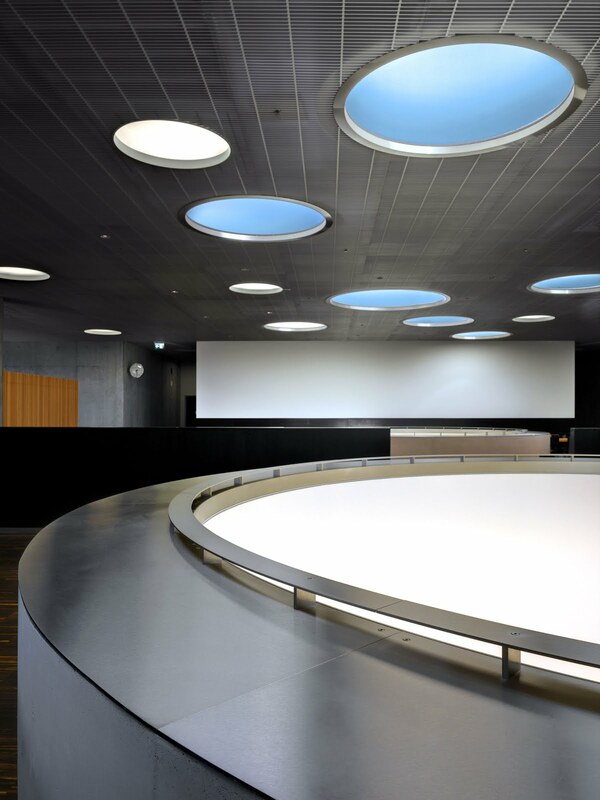 This Rolex facility houses all the senior executives, as well as the international marketing department, and the Rolex R&D design center. 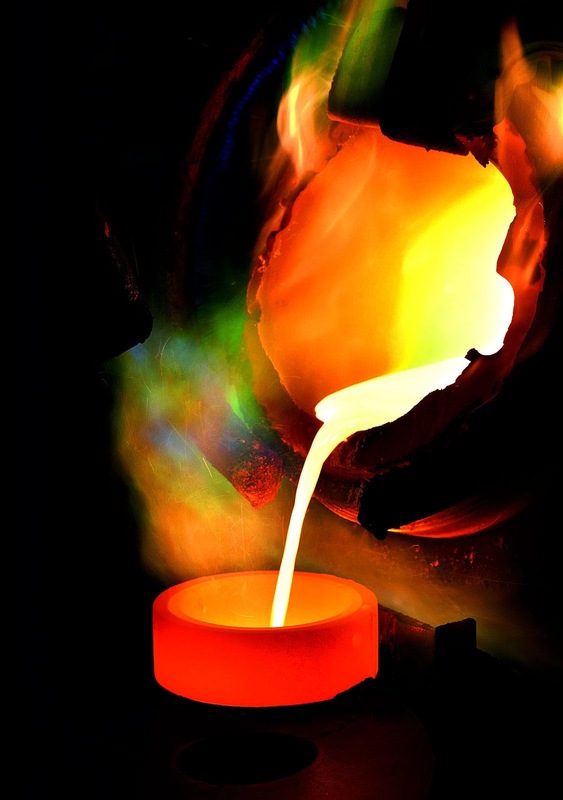 The photo below shows a Rolex technician creating Rolex Gold, by melting down gold to a liquid state so it may be molded into parts for making Rolex watches. 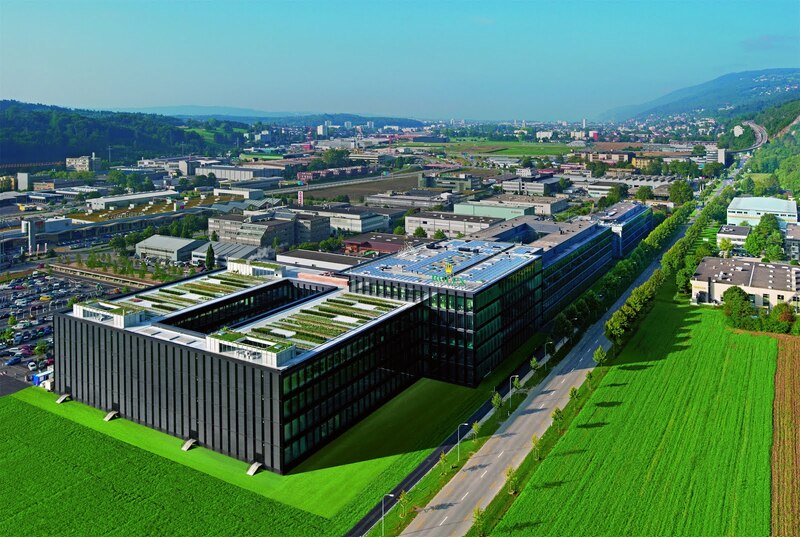 In October of 2012, Rolex completed a new manufacturing facility in Bienne, Switzerland that specializes in making all movements for their watches. 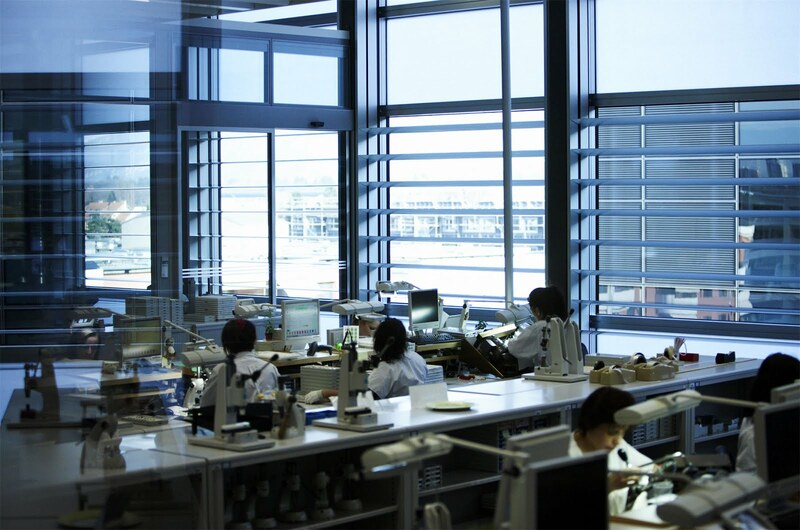 Rolex is one of the most secretive companies in the world, and in 2012, for the first time in history, Rolex offered a glimpse of their world-class facility where all their watch movements are made. 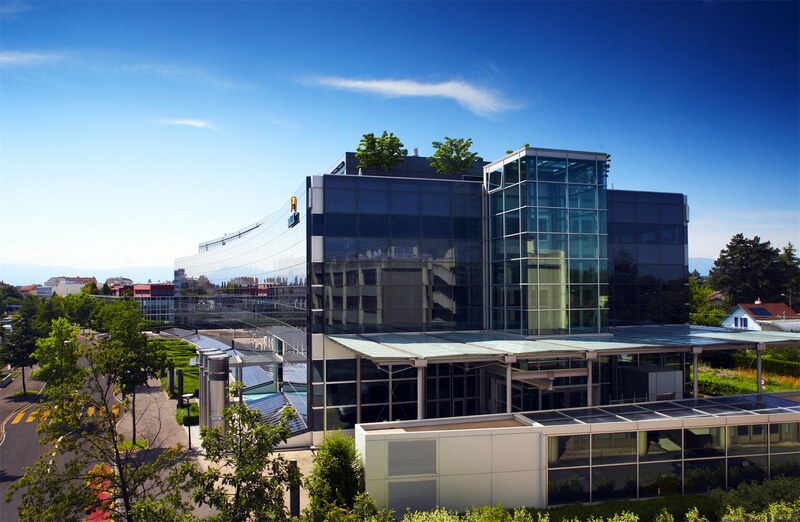 In 2013, Rolex invited me, along with Arial Adams, Benjamin Clymer and James Dowling to be the first journalists in history to tour all four Rolex manufacturing facilities in Switzerland, and I wrote about it extensively in my 3 Part Series titled, "Inside Rolex". 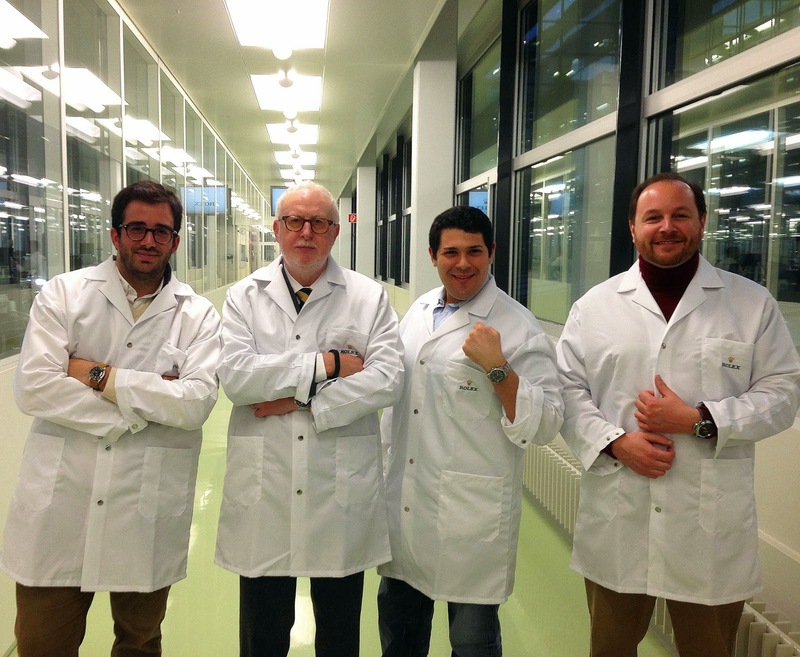 The photo below shows the four of us inside the Rolex Campus in Bienne, Switzerland where all the Rolex movements are made. 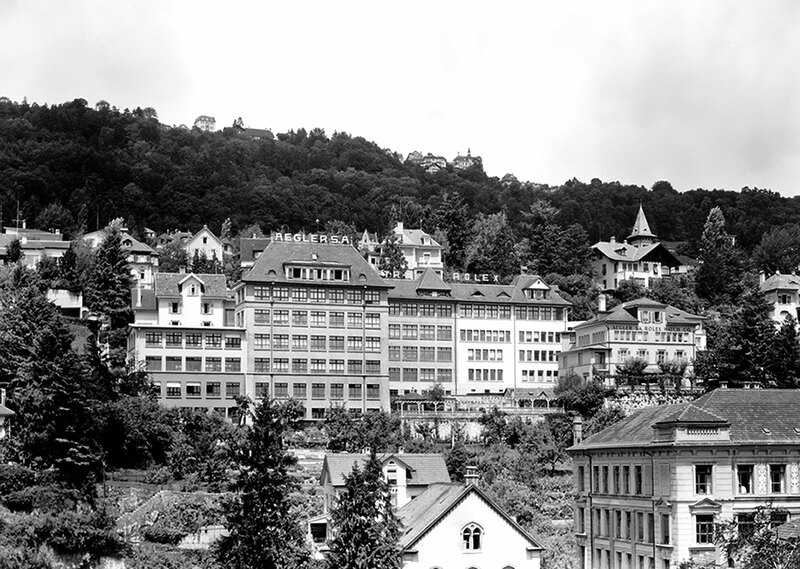 Before we examine the all new extension, let's take a trip back in the Rolex Time Machine to learn about the history of Rolex movement making in Bienne, Switzerland. 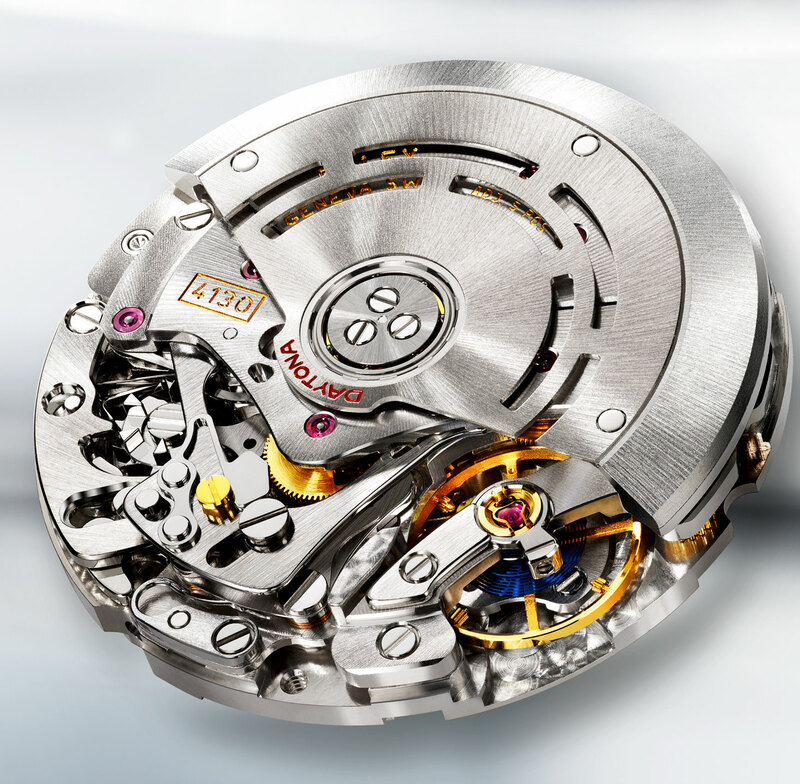 I would say that the Calibre 1000, the base movement for the 1030 was really the first true in-house movment. 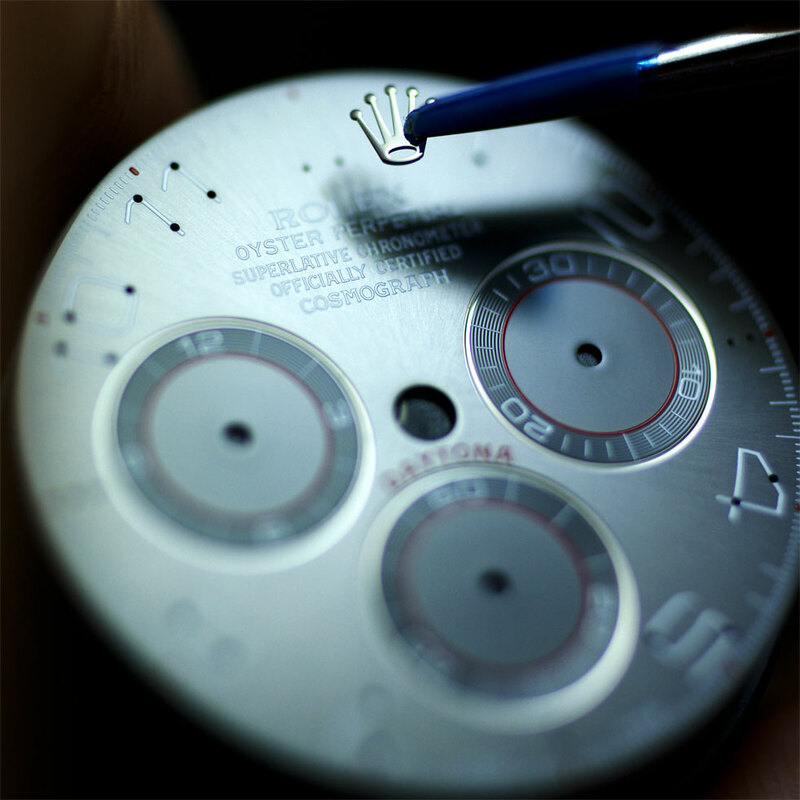 It was designed from the ground up as the flagship movement. It wasn’t an adaptation of an earlier Aegler ebauche. 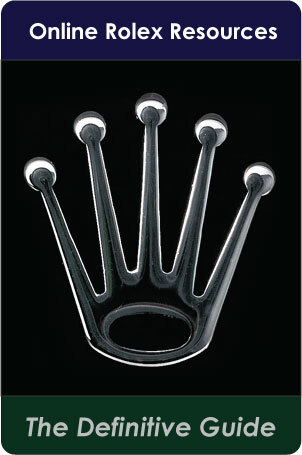 That is what I was told by my mentor who was a dealer in the 50’s and also a Certified Rolex Watchmaker by Rolex NY. 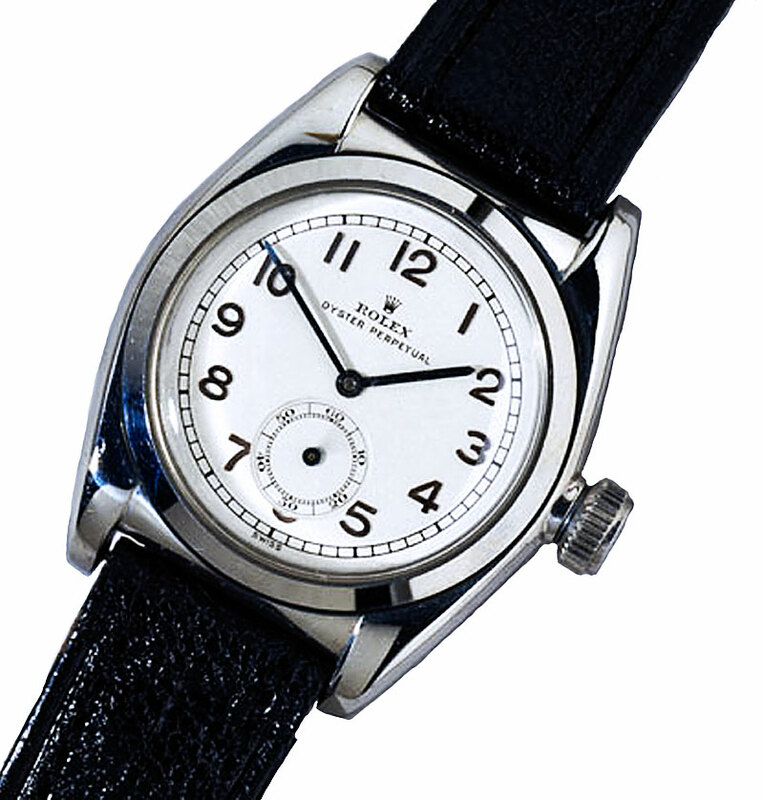 Rolex's Development of the Rolex Oyster in 1926 was an incredible horological achievement and complete game-changer. 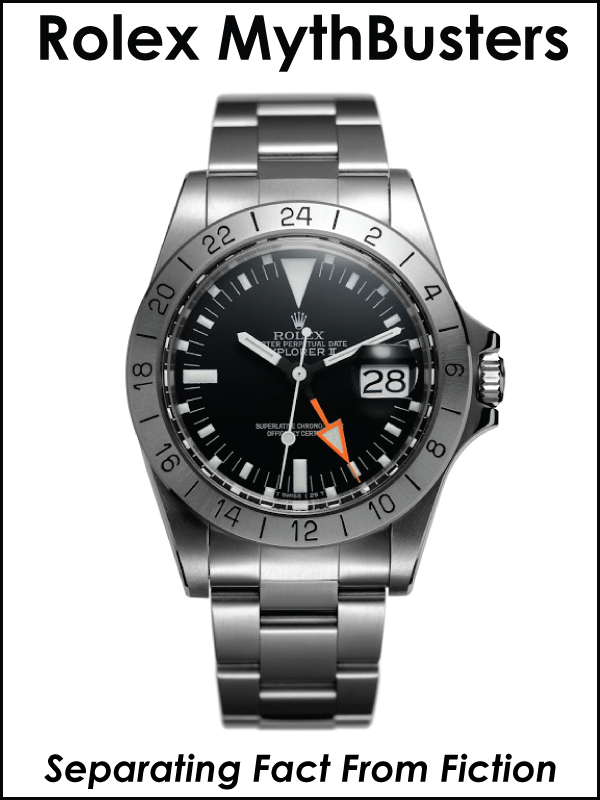 As we look back in the rear view mirror of history, this event probably represents the single greatest innovation in the watch industry. 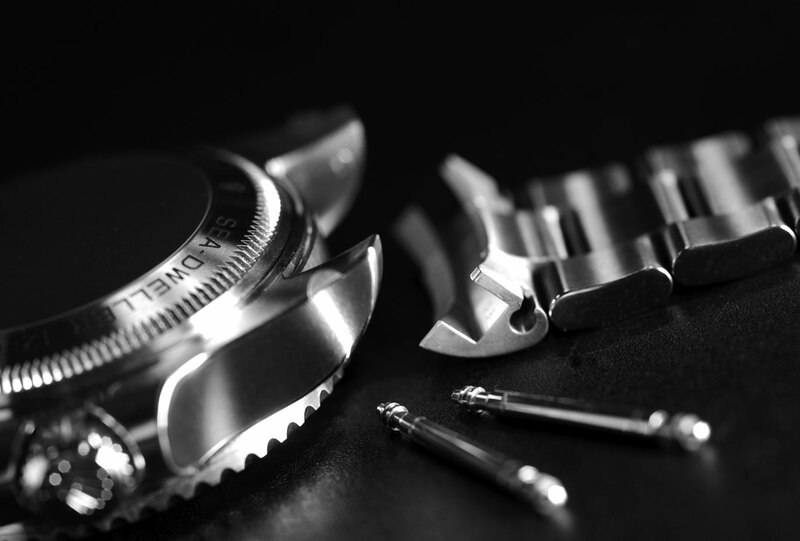 That being said, the remaining challenge was, it made it more difficult to manually wind a Rolex Oyster watch as you had to unscrew it first, then wind it, then re-screw the Oyster crown. Inventing the automatic, or perhaps auto-magic, wristwatch which could wind itself represented the dream-of-the-ages in the horological world. 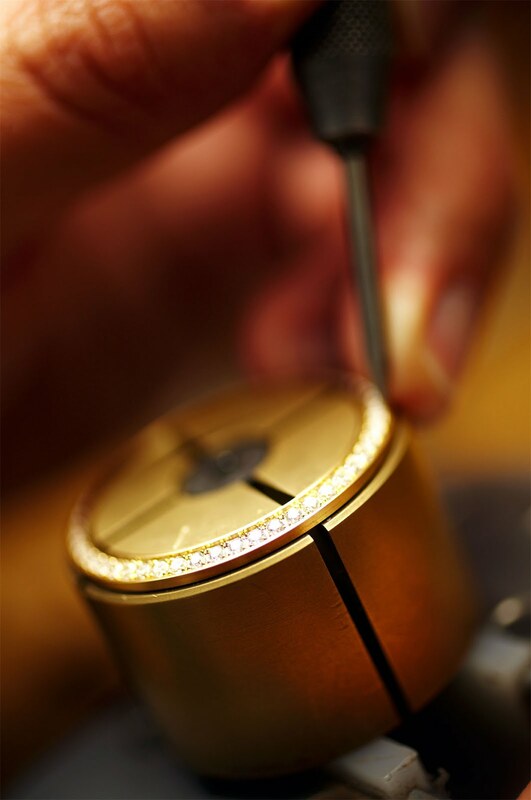 For centuries, many famous watchmakers tried to perfect the automatic or self-winding watch, but none were successful. 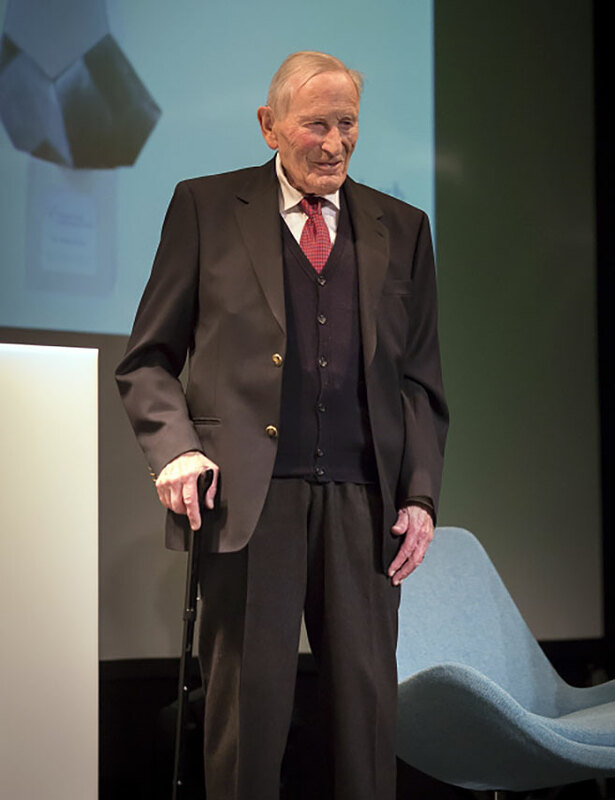 Emil Borer was the father of Harry Borer, who just passed away on June 16, 2017. 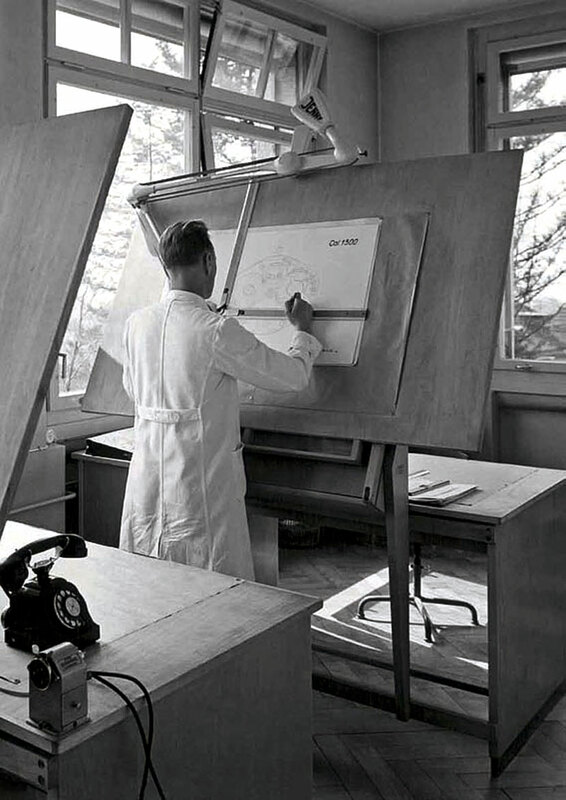 Emile Borer, (pictured below) the Chief Technical Director of Rolex was mentioned in the ad above, as having been the person at Rolex who is credited with figuring out how to make the automatic movement work correctly by inventing and perfecting the modern rotor system. 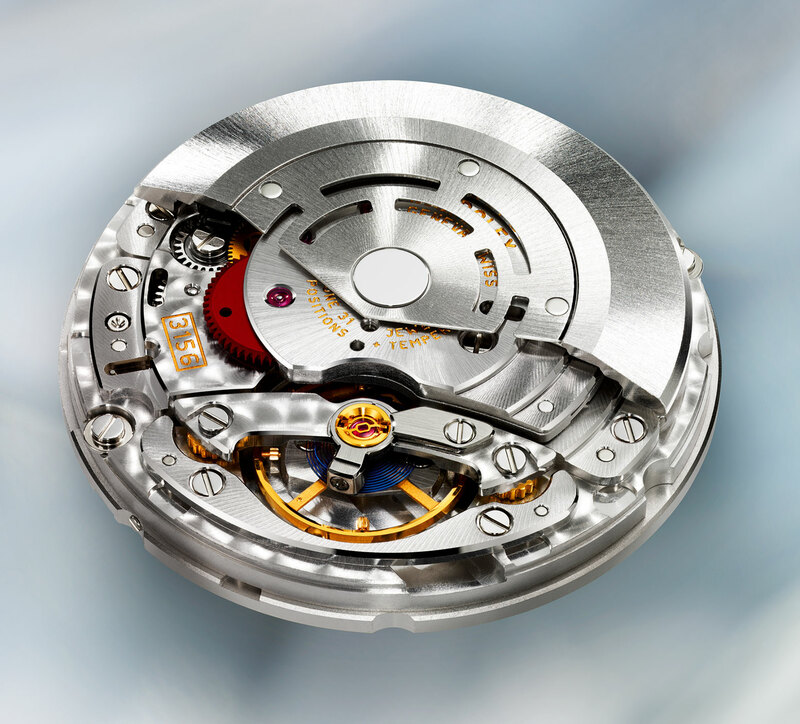 As you can see in the photo below there is a rotor that says "Rolex Auto Rotor", which automatically spins clockwise or counter-clockwise just from the movement of your wrist, thus "Automatically" winding the mainspring. 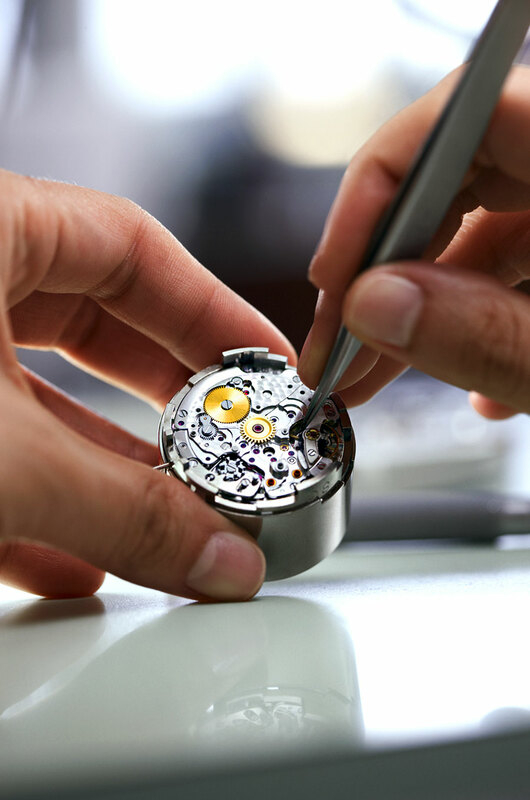 In other words, even the slightest movement of your wrist (using gravity) will wind the watch, thus keeping the mainspring at optimum tension. 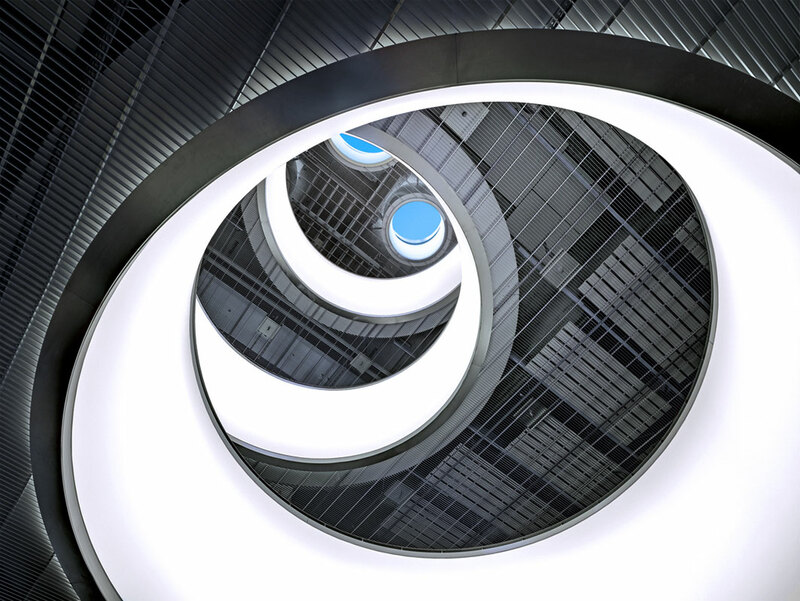 In 2012, Rolex showcased their all-new expansion to the press. 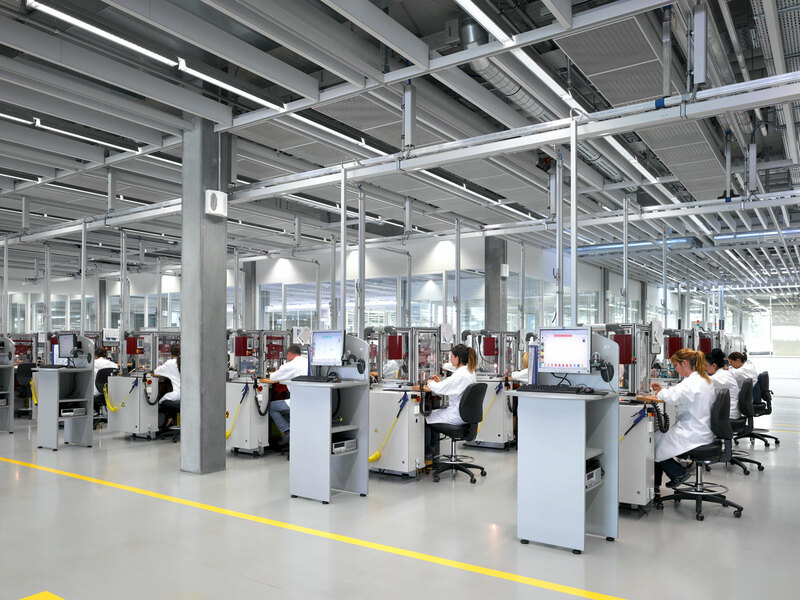 This following photos were all taken on site at Rolex's all-new Building 7 located in Bienne, Switzerland where all the Rolex movements are made. 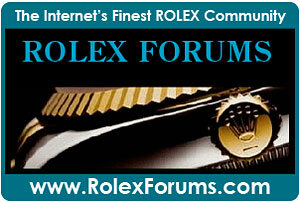 So let's get back to Harry Borer, and the significant role he and his family played in Rolex History. 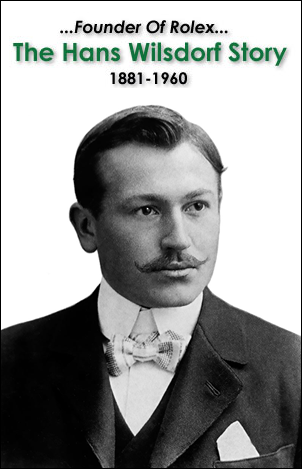 Harry Borer's family literally made Rolex tick, in the sense they provided Rolex with the majority of their movements for 100 years before Rolex acquired their company. 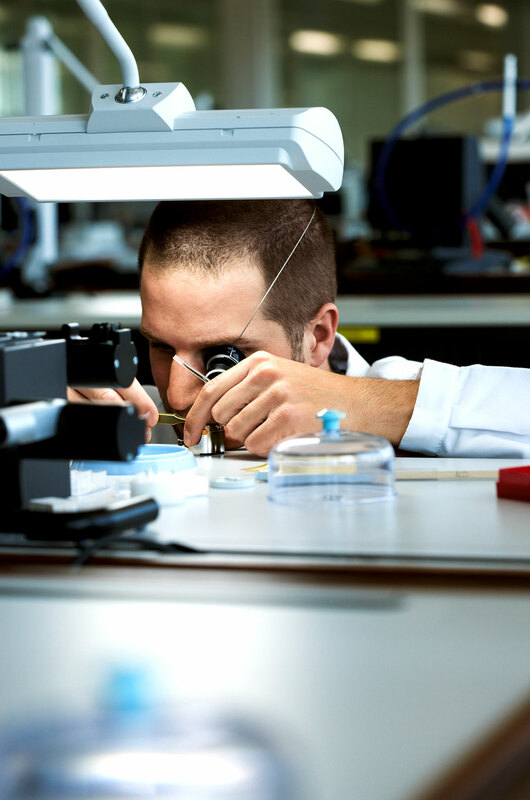 Harry's grandfather, Jean Aegler was largely responsible for putting Rolex on the map, and his father, Emile Borer was helped revolutionize the Rolex Oyster case, by successful developing the super-innovative Rolex 'Perpetual', which was the first viable automatic watch movement. 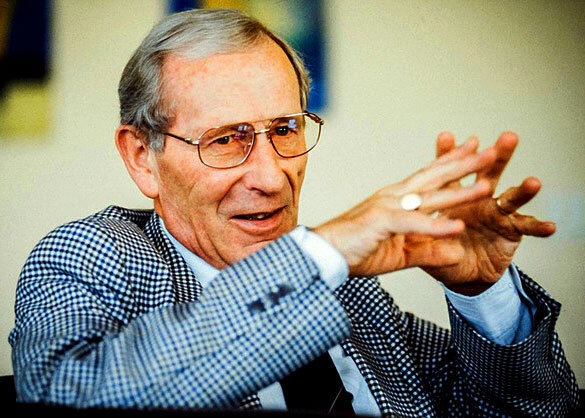 Harry Borer, was responsible for helping Aegler grow from 150 employees is 1967 to 2,500 employees n 2001. 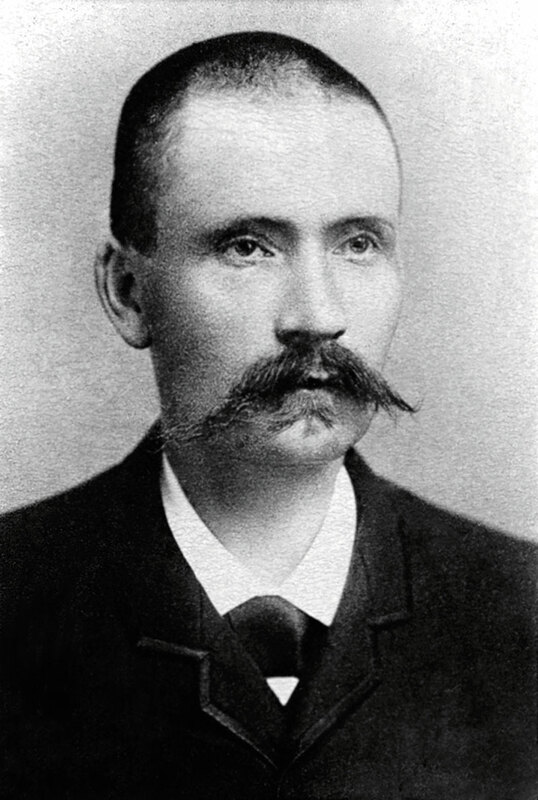 Harry Borer (pictured above in 1995) was known for being an extremely low-key, down to earth man, as well as being very deeply committed to taking care of all of his employees. 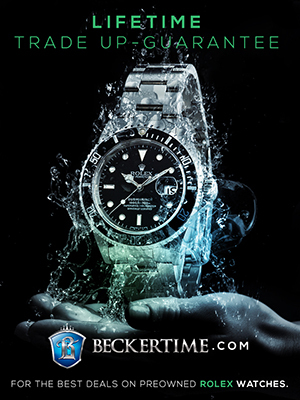 As a matter of fact, when he sold his remaining equity to Rolex, he insisted Rolex keep every employee, as he felt they were all part of the Rolex family. 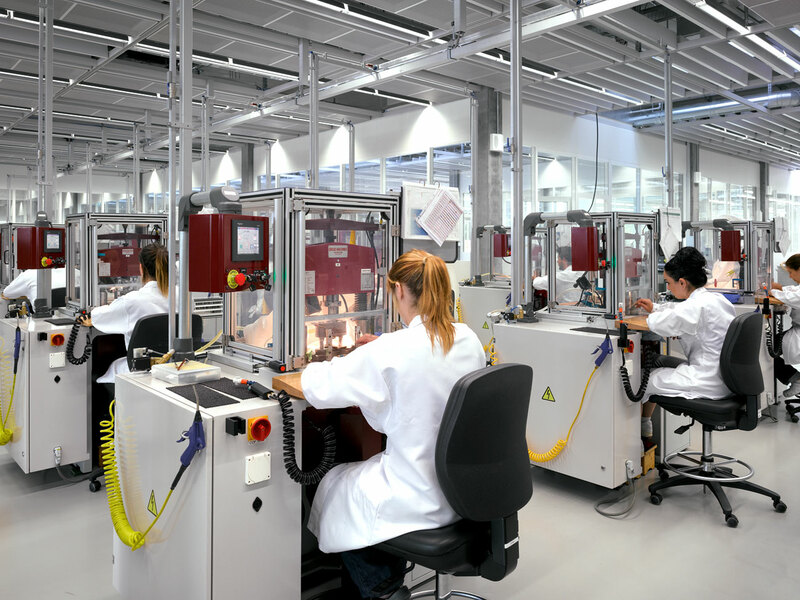 As I mentioned earlier in this story, I had the opportunity to tour Rolex's movement-making factory in Bienne, Geneva, and is completely blew my mind!!! 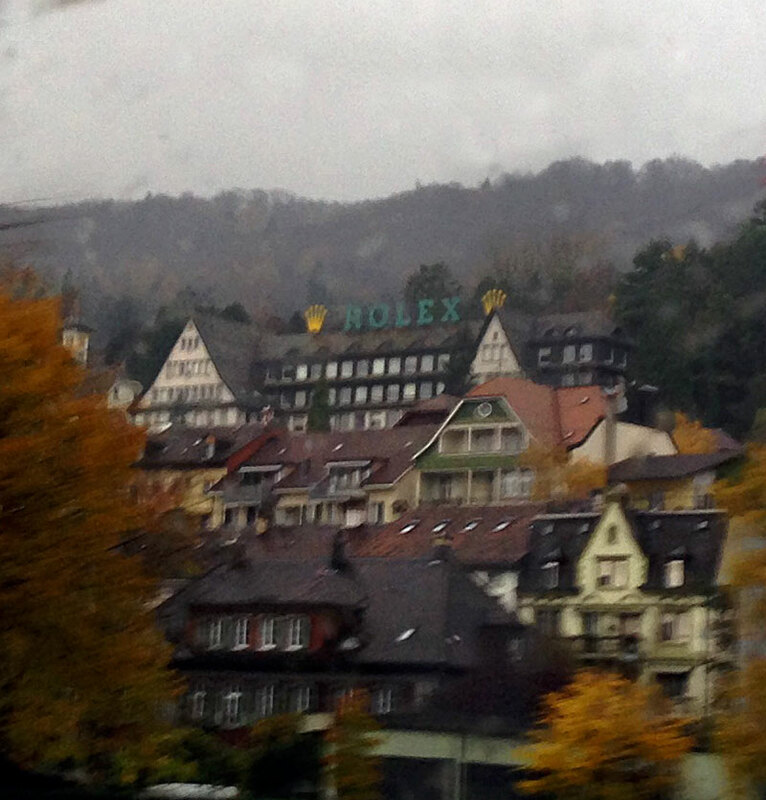 On the way to the new Rolex factory in Bienne, I took this photo of one of the old Rolex watch movement factories in Bienne. 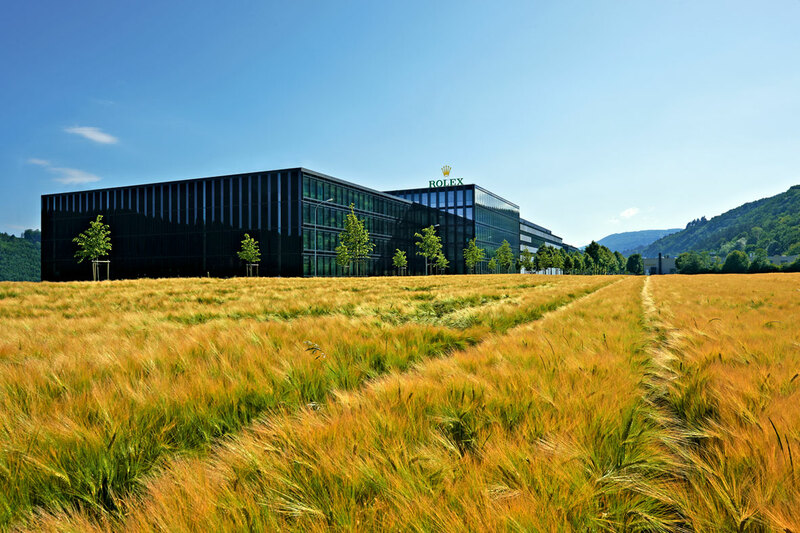 The photo below was taken at a cocktail reception held in our honor after we toured the new Rolex facility in Bienne, which is where the Aegler/Rolex movement making factories made history by creating their super-precise Rolex Chronometer Movements. 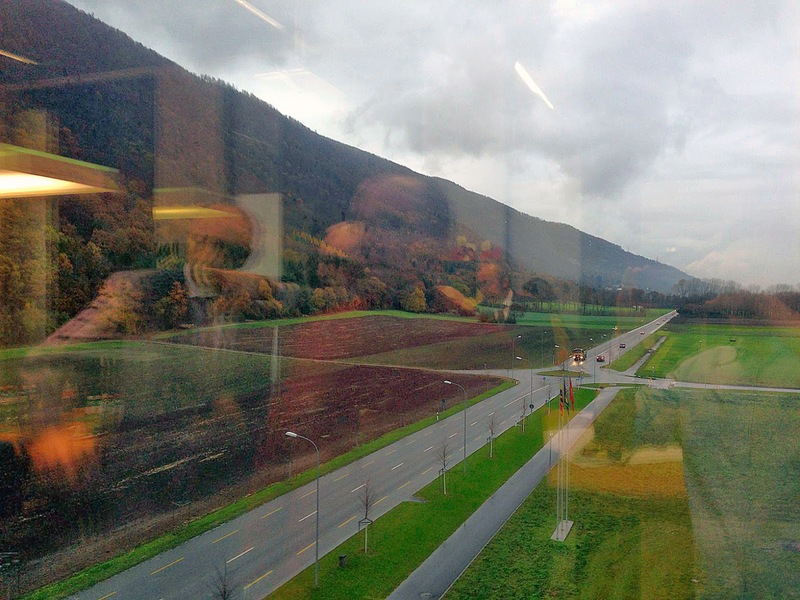 The photo below is fascinating as we see the Jura mountain range in the background as we look out the window. Arial Adams took this photo, and if you look closely, you can see his reflection on the right side of the photo, and I am pictured in the middle, wearing a maroon cashmere turtleneck, and James Dowling is to my left, pointing out the window. 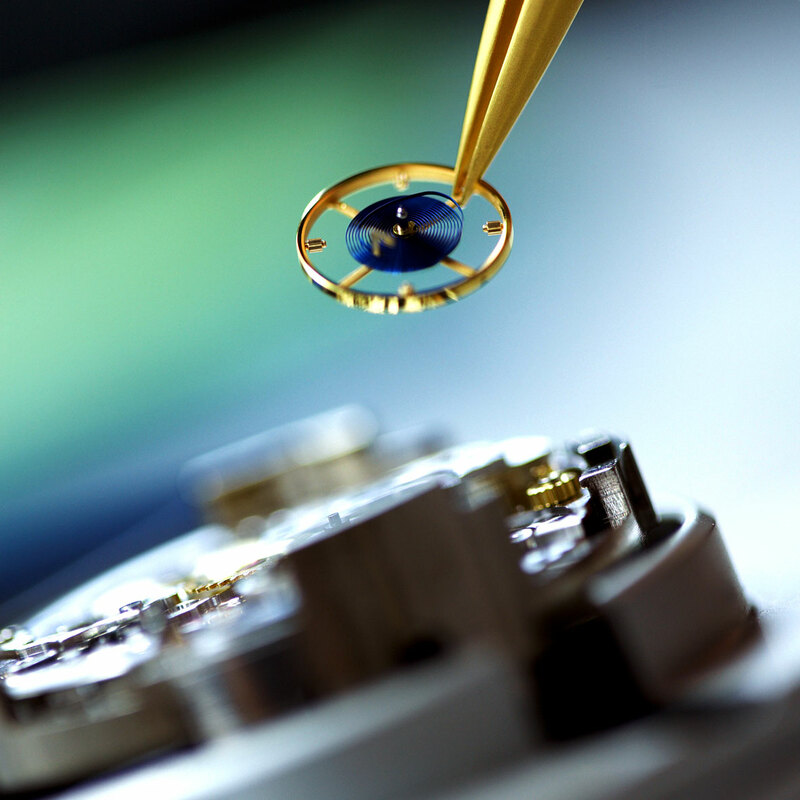 I included this photo as it is a reflection of the future of Rolex's movement making, which was deeply rooted in the Aegler/Borer family tradition, of which Harry Borer provided so many valuable contributions.